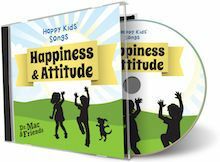 About- Happy Kids Songs are downloadable and you can listen to them from your device you download them to or you can burn them to a CD. We just left them on the computer as when we are doing learning we always have our computer near us. 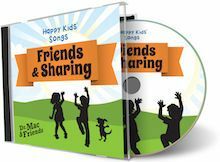 These songs are produced by Dr. Mac who is a child psychologist. He is also a writer and director of music to a popular show called Jay Jay the Jet Plane. The songs in this review are meant to help build social and emotional skills for children. How we used it- I have been running a local co-op class at a park that has a big outdoor stage. I thought this would be perfect as most of our kids are in this age group and we have this huge stage that we never get to use except for the shade it provides. So I downloaded all of the songs to my laptop and for these past few weeks we would play these songs at the start of co-op and let the kids sing and dance with them. After a couple days of learning the songs I would stop them after each song and we would have a group discussion on the topic of the song and ways we can behave the correct way. My co-op group is a secular group so this fit in with them as some are not Christian families but still supported good morals. 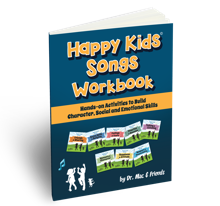 Since we also got the workbook we also played along at home with these songs so my children could use the workbook. It also gave us a chance to further dive into the songs. This is the list of songs for each song set. Who Knows What's a Kudo? Some of these were just fun songs while others were giving tips. The song titles are pretty self explanatory on what you will expect to hear from it. Some, like Sailing the Seven C's, only mention topics which you would use to further talk about. Some give the kids ideas I was not OK with from a Christian standpoint. The Six Little Kids were closing their eyes guessing parts of an elephant (of which none have ever seen one before) and even though they all guess wrong they were told they were right. In my life that is not OK. You do not let something be right when it is not wrong when your eyes are closed. The Golden Rule starts out with name calling and I didn't like them learning new ones. Though the rest of the song was great with a good message.Overall these were great songs for kids. The few I wasn't fond of are easily removed from the play list, or just don't burn to the CD. The workbook had the lyrics to the songs followed by an activity page. The back has sort of a lesson plan ideas. I will say that the songs are good for the ages listed but the work book is more for kids towards the end of the range. The child really needs to be able to read and write or at least have the parent to be able to write for them.